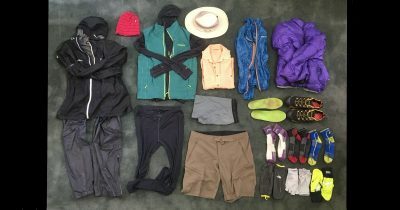 The four Gear articles, taken together, describe all of the gear we carry. 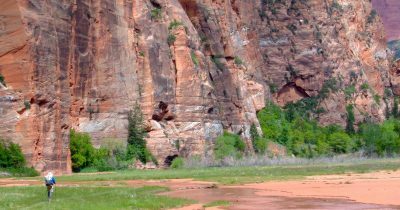 We always carry binoculars around our neck and we use them extensively for navigation, wildlife, scenery, and people-watching. Good waterproof binoculars suitable for backpacking are available for $200-$400. 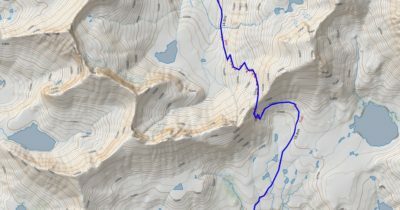 CalTopo.com is our favorite tool for pre-trip planning. We use it to prepare detailed route information, print custom maps, and share map data with others. Gaia GPS is the best mapping iPhone app for backpackers. 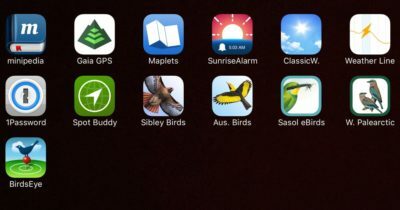 We also list a few apps that we use while traveling that might be unfamiliar to other hikers. 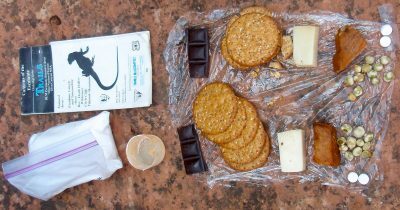 We stopped cooking on backpacking trips twenty years ago. Our no-cook menu has evolved over many iterations and is now finely tuned to what works for us. 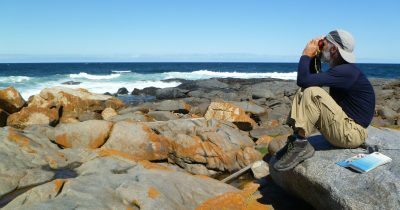 We share it here for others who want to try a no-cook trip and are not sure where to start. 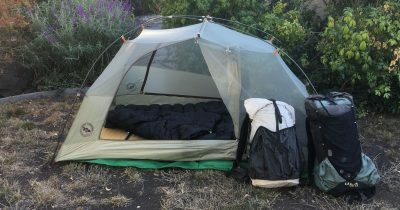 Stealth camping is the practice of camping where it is not permitted. 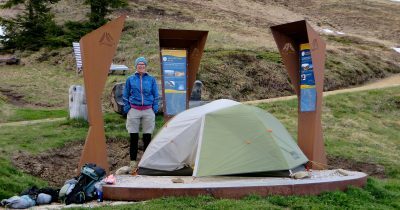 It enables us to backpack in areas where the administering agency either does not permit overnight camping, or limits camping to select locations.